My blog has been quiet as I have been out west for the Missoula Marathan and then returned home and immediately started three days of programs with Ricky Tims and friends. A post will follow later this week on this happy event. The marathon was significantly warmer than last year with starting temps in the mid-60's rather than the high 40's. Needless to say, my time was much slower than the year before but I finished. My daughter and son-in-law were with me in Missoula and ran the half marathon. 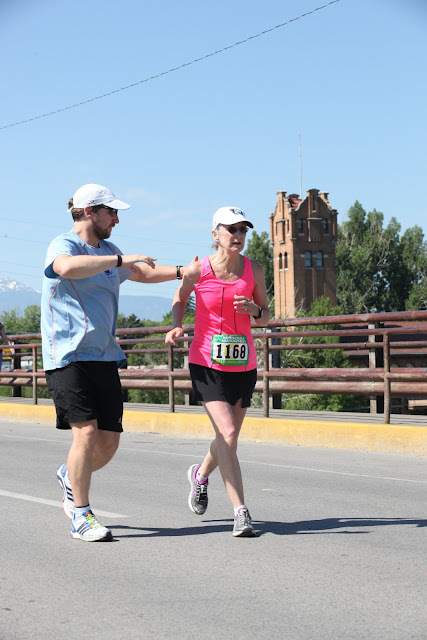 They found me in the last mile and my very special son-in-law ran to the finish with me, cheering me on. How great is that! Emotion overwhelmed me at the finish - here I am, 64 years old - and able to run 26.2 miles and blessed with such a wonderful family. Here are some quick photos from the event. 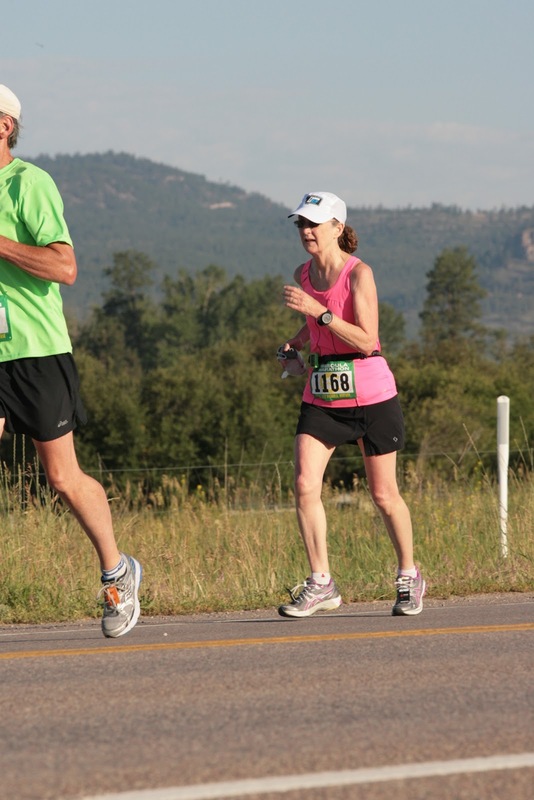 You are an inspiration to this ol' almost-60 runner, dear friend! Did my a.m. runs yesterday and today in similar heat, and getting hotter. Maybe I should train to run another marathon...? Only if I can find a cool one!